ABB has won an order to replace the control and protection systems for two vital high-voltage transmission links in Australia that achieved significant technical breakthroughs when ABB installed the systems nearly two decades ago. The order, worth nearly $30 million, will modernize the Murraylink and Directlink high-voltage direct current (HVDC) transmission links with the latest ABB AbilityTM MACH control system. The replacement of the control and protection systems will further improve power and grid reliability, while also extending the life spans. The Directlink transmission system was commissioned in 2000 and marked the first interconnection of the regional electricity markets of the Australian states of New South Wales and Queensland. Two years later, the 180-kilometer Murraylink transmission system became the world’s longest underground HVDC power transmission system when it was put into service, connecting the states of South Australia and Victoria. Underground cables were chosen for Murraylink instead of overhead transmission lines to minimize visual and environmental impact. The cables were drilled under the Murray River, road and rail crossings and a number of significant Indigenous Australian heritage sites. Both Directlink and Murraylink are based on HVDC technology, which ABB pioneered more than 60 years ago. In HVDC, the alternating-current (AC) power used by the utility grid is converted to direct current (DC) for transmission; a much more efficient way of transporting large amounts of electricity over long distances with minimum losses. ABB will carry out the upgrades for the APA Group, Australia’s leading energy infrastructure company, which manages Directlink and Murraylink facilities owned by Energy Infrastructure Investments (EII). 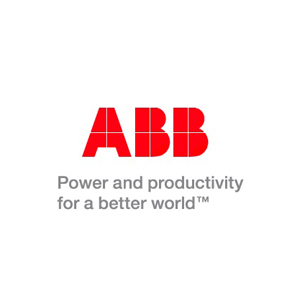 Central to the upgrade of both links is the installation of the latest ABB Ability MACH control and protection solution, which acts like the brain of the HVDC transmission system. By monitoring, controlling and protecting the sophisticated technology in the converter stations, the system ensures reliability and efficiency, along with remote-control functions to ensure power security. ABB is a global leader in HVDC with over 120 HVDC projects, representing a total installed capacity of more than 130,000 megawatts - around half the world’s installed base. ABB also leads the industry in major HVDC upgrades, having completed projects around the world with minimized interruption to the power flow.